Noodle.ai, a San Francisco based AI software applications company, recently developed the Noodle AI Index for Airlines. The index shows evidence that airlines that learn best, broaden their view externally, and use algorithms to better predict the future, outperform those that focus their gaze internally and look only to the past. The Noodle AI Index examines AI adoption (X-axis) vs. the growth in value of the airline (Y-axis). AI adoption is quantified through analysis of skills, focus, and public commitment to the three pillars of AI: learning algorithms, supercomputing technology, and data engineering. 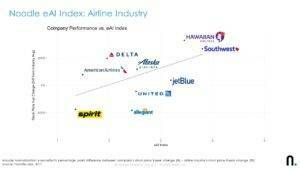 Stock performance is calculated as the five-year change of stock price vs. the airline industry average. What does this tell us about Airline Darwinism? Airlines are operationally-intensive data-rich environments that traditionally have been managed looking largely at internal historical data analyzed by static algorithms. This approach limits the capacity to manage critical forecast-intensive operations like revenue management, fleet maintenance, inventory management, route planning, and customer loyalty offers. Enterprise AI is an opportunity to scale human expertise and find patterns beyond human capability. Learning algorithms flourish when combining large amounts of internal, external, structured and unstructured data. The effects of AI on airlines steadily will increase. 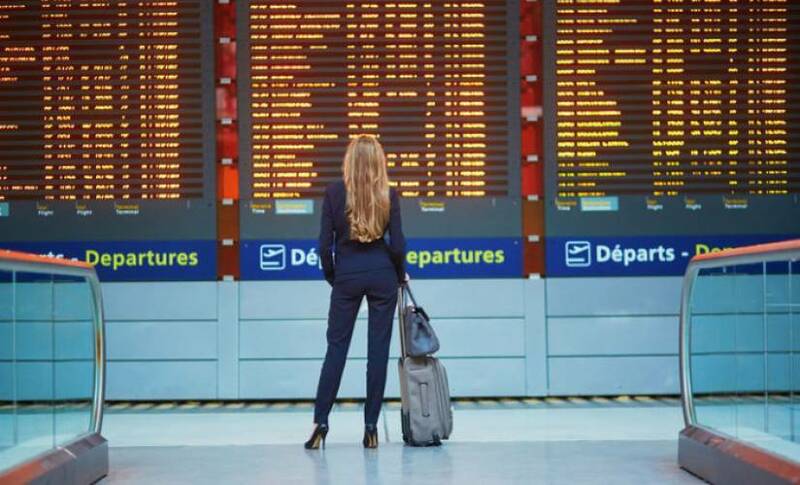 Channeling Darwin, AI entering airline operations is more likely to be a natural selection process for the industry rather than a sudden Cretaceous–Paleogene extinction event. Nonetheless, the battle to be the most adaptable is amping up.